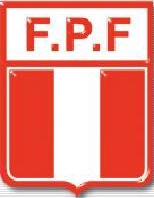 A Peruvian school of soccer has established itself as one of the premier soccer training centers in South America. Our school and camps were founded on the premise of giving players the best coaching available. 36 years later this remains our objective today, we are very proud to present you with our academy CANTOLAO SOCCER ACADEMY, located in Columbus, Ohio. Academia Deportiva Cantolao has built its legacy of outstanding Peruvian soccer education with top International youth coaches primarily from Peru, The Americas and local coaches with significant collegiate playing and coaching experience. CANTOLAO USA is a place where skills are taught to those with a willingness to learn and have fun. Since it's not always convenient to send children away for special instruction, we're bringing our Peruvian Soccer academy to you! CANTOLAO USA is designed to provide a positive, fun learning environment from coaches who are dedicated to the players and their development. What we ask is that your player attends with a positive mind and a willingness to learn, with this combination, success in inevitable. CANTOLAO USA is dedicated to helping soccer players of all ages; develop into well rounded players through international soccer travel and local competition, camps, indoor soccer and tournaments. CANTOLAO USA focuses on teaching, training and developing players using the South American Training Methods (Brazilian, Peruvian and Argentine styles of play). Our emphasis is placed on the development of skill and touch on and off the ball and the technical and tactical development of the player using small sided 1v1 training games and building to the 11 v 11. CANTOLAO USA is designed to complement existing club teams, ODP programs or other local organizations, and serves as a supplement to help enhance these programs by providing individual players with a quality state of the art tailored made training and conditioning programs for the player. CANTOLAO plays all its games in M.O.S.S.L and is proud member of GOALden Soccer & Futsal League (GSFL), Ohio South and US Youth Soccer, US Soccer and FIFA. CANTOLAO USA is also a proud member of the National Alliance for Youth Sports (NAYS), and we offer Start Smart Soccer Development Program for children (ages 3 - 6) for organized soccer in FUN non threatening environment. This allows children the opportunity to work one-on-one with there parent and teaches children a variety of soccer skills including: dribbling, kicking, passing, trapping, throw-ins and agility. Start Smart Soccer builds confidence and self-esteem! According to a 1993 survey: 49% of the 5-10 year olds tested did not have the sports skills necessary to successfully compete in organized sports. 70% of children drop out of organized sports by the age of 13. Programs we have worked with.